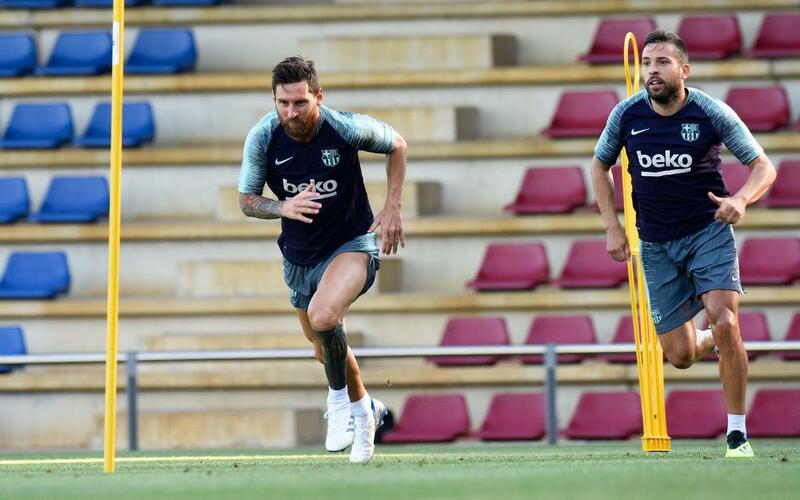 Whilst their colleagues continue with the US tour, Leo Messi, Gerard Piqué, Jordi Alba and Sergio Busquets returned to pre-season training in Barcelona on Tuesday. The quartet, who had passed the relevant medical check-ups during the morning, trained on the Tito Vilanova pitch of the Ciutat Esportiva Joan Gamper. They were joined by Sergi Samper, who is recovering from his injury, as well as Barça B’s Mate, Guillem, Sarsanedas, Morer and Ruiz de Galarreta. On Wednesday they’ll be back for a double session as preparations for the 2018/19 season continue.